Secretary-General of the EC, Pol Col Jarungwit Phumma. 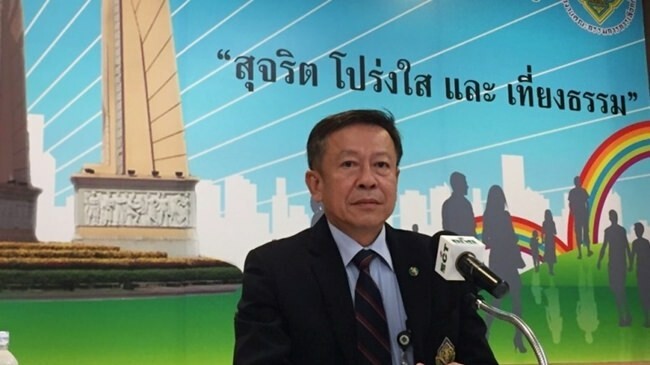 Bangkok – The Election Commission (EC) has stressed that the reform of political parties must be centered on public participation and involvement. Secretary-General of the EC, Pol Col Jarungwit Phumma says the Organic Political Party Act strives to modernize political parties and lift their operational standards. The law states that in order to form a party, there must be no fewer than 500 founding members who must match the qualifications of those sitting in the lower house, as well as a seed fund of at least 1 million baht created by all of the co-founders contributing amounts between 1,000 and 50,000 baht. The law also stipulates that total donations to a party must not exceed a combined 10 million baht per year, in order to prevent parties from being manipulated by an outsider. But the key to political party reform is public involvement, he reiterated, adding that members of the general public must be allowed to take part in policy development. In terms of building a democratic political culture, he said efforts must start with local communities – villages and sub-districts – before moving on to provincial and national levels. Jarungwit noted that the electoral organ has set up democracy promotion centers across Thai communities to educate people about democracy, public participation in politics, elections, and nation building.